The aesthetics of modern architecture have always influenced Fana. Architecture is designed to be used every day, and yet it can be strikingly beautiful, standing out against the skyline. When Fana founder Bobby Jain set out, it was to create fine jewelry that women could wear every day. With this in mind, Fana has grown to provide masterfully handcrafted pieces that are fit for any occasion. They do this by paying particular attention to the designs and materials going into these pieces. 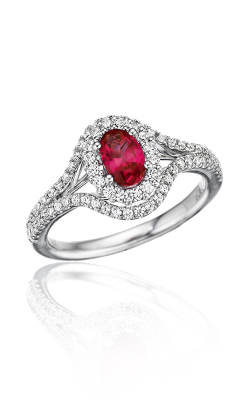 Their signature stones include rich rubies, vibrant emeralds, deep sapphires, and brilliant diamonds. Only the most beautiful stones are selected. This selection process picks out the top one percent of stones considered suitable for the task. These collections each capture a unique aspect of design style. The Classic collection is a stunning crossover of sophistication and glamour. Simple, elegant designs keep the emphasis on the incredible brilliance of the stones. It also displays delicate metalwork capabilities that stand out in the industry. The Designer collection employs luxurious configurations that sparkle and shine. Pieces from this collection have a distinctive presence that captivates those around you. Nothing provides the same level of radiance and charm as a piece from this collection. The Vintage collection contains singularly unique pieces. The collection displays fascinating new styles with expert design and execution. These pieces show off some of the best techniques in the industry as well as some of the latest and brightest ideas. The Antique collection hales back to the old heirlooms passed down from generation to generation. This collection features designs and patterns that open up a fresh new page in history without forgetting the splendor of the past. When you wear a piece from the Antique collection, you feel like you are wearing sweet memories. Why Shop for Fana at BENARI JEWELERS? 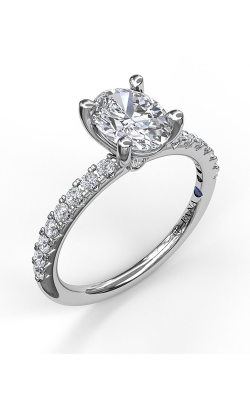 At BENARI JEWELERS we have been in the industry for over half a century. Our family rule when working with customers is to treat each customer as if they were our only customer. We have worked hard to become one of the first names that people think of when they are looking for fine jewelry and timepieces. Located in Exton and Newtown Square, Pennsylvania our services are available throughout the whole area ranging from West Chester and Malvern to Downingtown. When you need something special, come to BENARI JEWELERS.